Editor’s Note: Want a full guide to picking a community platform with over 50 platforms reviewed? Download the free CMX Guide to Community Platforms. Choosing an online community platform is one of the biggest challenges for a community builder. While an online platform does not equate to a community, when done well, online community platforms are incredibly effective at organizing, amplifying, guiding, and scaling a community strategy. The big problem with platform selection is that the process is time-consuming and characterized by a wide breadth of offerings, lack of standards, and a ton of misinformation. In 2015, I selected the Sidecar online community platform, and have worked with many other platforms throughout my career, and I wanted to share the experience in order to guide others through the process. Finding the right community platform for your business begins with prep work that organizes your internal needs. 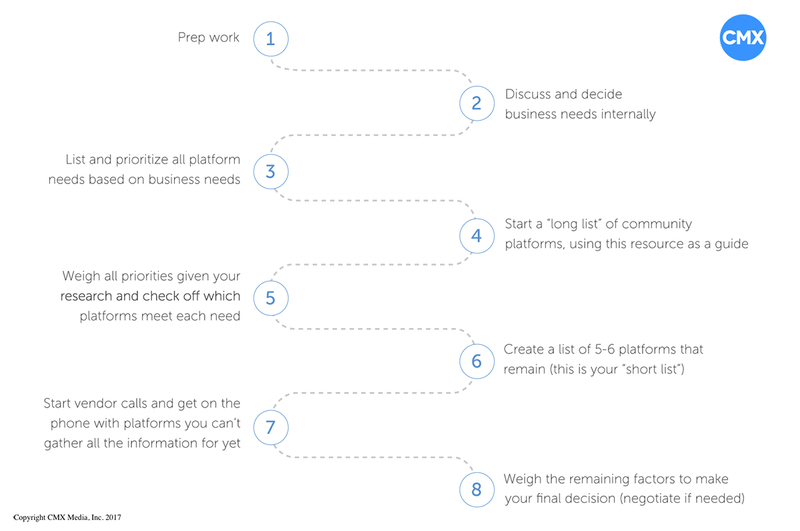 From there, your team can identify and prioritize all platform essentials based on business goals, and start a list of community platforms using this resource as a guide. As you weigh your priorities after researching, create a shortlist of potential platforms, call vendors to fill in any knowledge gaps and weigh the remaining factors. Check out David Spinks’ talk on Lean Community at ForumCon for some guidance. Start small (perhaps with a free platform or a mailing list) and test your assumptions before you charge ahead with launching a big, expensive platform. For us, the lean community experiment happened on Facebook Groups. We tested and observed how members interacted for about a year in secret Facebook groups. We saw, time and time again, our members wanted to find and share with each other. Knowing our community’s motivations made the platform search process easier, as I could place each product demo in the context of our existing community. If you don’t have strong hypotheses for how your community will interact on your platform, the salespeople from platform vendors will fill in the blanks for you. And that is not a safe bet. Once you are ready to select and implement the platform, you should still take a lean approach. Get something out quickly, learn how people are using it, and then iterate after you have actual usage data. After you’ve validated your community concept, get clear about your goals. Instead of feature lists, focus on the kinds of behaviors you want to establish instead. Sidecar was the marketplace for people to give and get rides from their mobile phone. Our job was to build a community of grassroots action and mutual trust. We especially focused on drivers coming together to share, learn, perfect their skills, and for us to engage in open and honest dialogue with the driver community. This meant some things were necessary and non-negotiable. You can turn these into your technical requirements rather easily. Go ahead and establish a few of the non-negotiable characteristics of your community. Here were ours. Our business is all about local, decentralized execution that can happen on a global scale. While some companies want to own the process and the outcome, the highest expression of community for us is when members meet and collaborate with each other and without our involvement. To that end, we needed a trusted, private community with spaces that would be accessible and relevant to all, alongside spaces that maintained local context. We knew that groups (much like groups on Facebook) are better at supporting deep collaboration and action than a simple Q&A forum. For obvious reasons, mobile was a huge priority and a non-negotiable for us. This is a big sticking point as most platforms still don’t think mobile-first. Having this as an elimination hurdle made the selection process much easier. While researching platforms, I was troubled by dated User Interfaces (UIs) and forums that looked like they were designed in the 80s. Instead of simplifying, a lot of platforms added random features. This results in feature bloat and makes them more complicated to use. Our community members needed a place that’s easily accessible and easy to use, on the computer and their mobile device. It had to be easy to contribute. Your community is going to change, and so is your company. It’s less than half the battle to have an engaging, relevant community on day one. You need to continue to be top-of-mind and fresh in terms of UI and content. We have a small, agile team, and without a designer or developer on my team, I needed something that we could update easily on our own. I needed a UI that would present posts and media in engaging ways — making it easy to promote and highlight content. JiveX – the solution we chose – has some great widgets, reminiscent of WordPress, that curate and feature content and members. While you’re designing a community platform for today, have some fun and envision the future. While you should avoid building any massive customizations that will weigh you down, you should know how the platform connects to various systems you use: support, email/customer journey, sales, customer recruitment, etc. At some point, we’ll want to connect our platform to our product and our workflows. To that end, I was thrilled that JiveX has a mobile SDK and integrations into work systems that are important to us. Build vs. Buy? Small Business vs. Enterprise? Here’s the rub. There’s not one perfect tool, because it’s impossible for one platform vendor to be all things to all communities. While there will be a lot of variation across tools and approaches if you’re buying from a third party, we can roughly generalize in three broad buckets of platform types. In the CMX Guide to Community Platforms, these platform types are broken down even further based on what business value your community is meant to drive. Unless you’re wielding big budgets, massive customization, and your own engineering team, on-premise implementation is a risky and expensive idea. So it’s likely you’re going to want to go with a cloud solution. Being able to customize for your needs is valuable, but you have to weigh that against the costs and a slowdown in your time-to-market. Again, it all depends on your priorities. This is the platform we chose at Sidecar because it was the easiest (and most affordable) to stand up, and a widgetized layout made groups and home pages a breeze to customize on the fly. We highlighted and featured content weekly, and the widgets were always changing to move in lockstep with what’s important to the business. And since we were coming from the Facebook experience, we wanted to stay close to that. If you’re thinking about using JiveX, there are potentially some big changes coming that could enhance its performance and user experience as a community platform tool. In May 2017, Jive was acquired by Aurea Software with plans to integrate into their customer experience management platform. There is speculation and uncertainty on exactly how Aurea will integrate JiveX into their suite of software. But Forbes reports that Aurea CEO Scott Brighton is optimistic JiveX can achieve its full potential and capitalize on serving both employees and customer communities. That could be good news for JiveX enthusiasts who want an even better product than they’re already enjoying. Or JiveX may hit a roadblock with users who love it just the way it is, while adjusting to a new product they weren’t really looking for. While a gold standard in communities with a pedigreed track record and market reputation, Lithium can be complex and pricey to set up and maintain. It’s a powerful product with features that have been honed over the years, but the level of customization necessary to stand it up and maintain wasn’t right for us at this time (again, a team of engineers behind you would be helpful if using Lithium). At the time of our platform selection, Lithium was still largely web-centric vs. mobile-first in its approach, and the mobile experience, which was our major sticking point, was weaker here than in other platforms. Lithium does work great for community at companies like Spotify (above) and FitBit. They, too, were acquired in 2017. 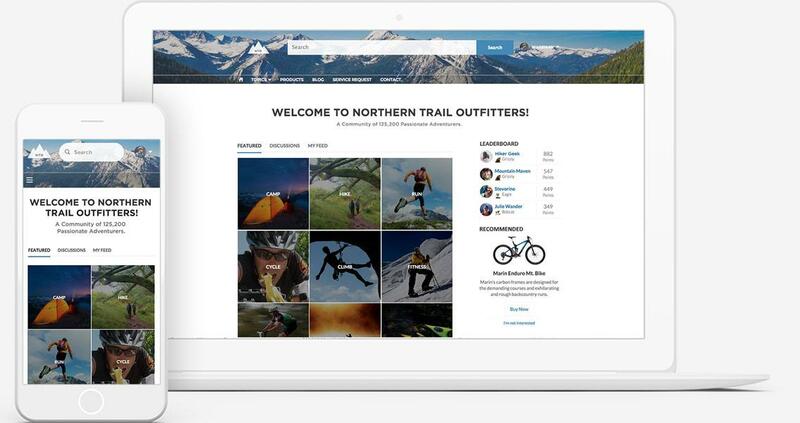 Similar to Lithium, Salesforce Community Cloud is a robust option with a pedigree in customer experience and worker productivity. It has a whole suite of leading technologies built on the Salesforce platform with powerful integrations into existing technologies. If you’re a Salesforce shop, it’s worth checking out. There are a few features that could be game-changers for your community and how it accesses data to improve its processes. Its Community Cloud Business Integration feature helps community members create and update records and processes direct from the community. That means partners can update their opportunities or qualify their leads. Employees can also use the feature to escalate customer support cases. Meanwhile, its Social Intelligence feature can automatically recommend connections to groups, resources or experts. When Community Cloud analyzes individual interests and behaviors, it can stir participation and create a more meaningful user experience. 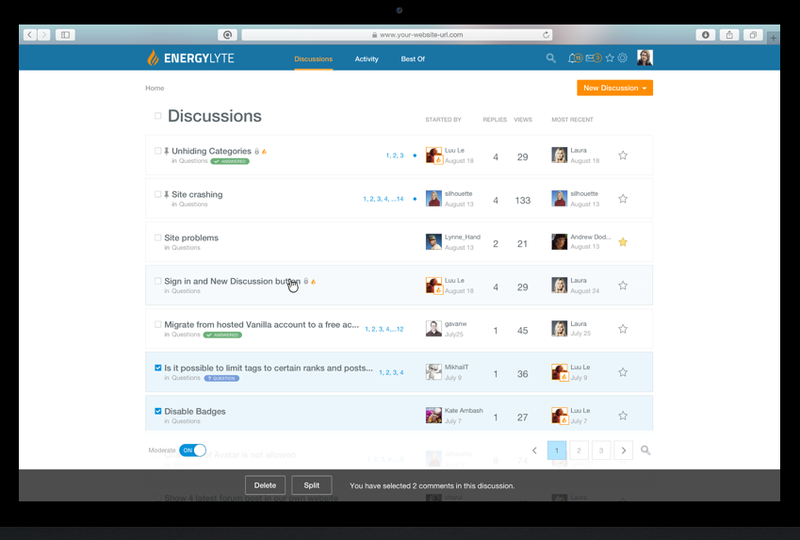 Salesforce Community is a powerful platform for partner engagement and for anything that relies on Salesforce products — but for us, it was a bit too powerful. Vanilla’s cloud-based community forum software helps business owners build loyalty and improve customer service. Vanilla’s forum is fully branded to match your own business website or app, and features intuitive UX for both your team and customers navigating the system. Vanilla features its own built-in SEO that ultimately helps all user-generated content rank in the search engines. Single sign-on and CRM integration allow seamless workflows. The platform also allows developers to integrate via API and control theme HTML and CSS, offers native gamification to encourage participation, and is mobile ready. It’s a solid option to help you build your community. You can even try it free for 30 days. Enterprise platforms tend to be complex and expensive, which can be daunting in terms of both the learning curve and the cost to bring to market. You are always at the mercy of the platform vendor’s roadmap, and larger vendor companies tend to have more internal and external politics (not a rule, just an observation). These politics often result in building too many features without the discipline of honing the existing offerings. The resulting complexity often leads to lowered adoption and engagement. Note: get access to our entire list of enterprise-grade platforms in our community platforms guide by clicking here. While it’s a huge testament to Sidecar’s focus on community that I was empowered to pick the right platform — even if it wasn’t the cheapest — we had to check out some more modestly priced options. We looked at lots of mid-tier “SMB” (small business) platforms, which were fantastic in their own way. But most of them seemed to focus on one aspect of community like content curation or link-sharing, while very few nailed a holistic experience. One platform that seemed to hold promise, and one that I’ll be tracking going forward, is Discourse. Featuring an updated UI and more modern interaction flows, it’s not yet open for commercial use, as of the time of this writing. You can, however, implement a Discourse forum on your own servers for free, as the code is open-sourced. Another open-source platform, bbPress makes building communities easy for businesses running on WordPress. It’s proven to be a popular choice for website hobbyists, emerging startups and robust businesses alike. Its focus is on ease of integration and use, web standards, and speed. 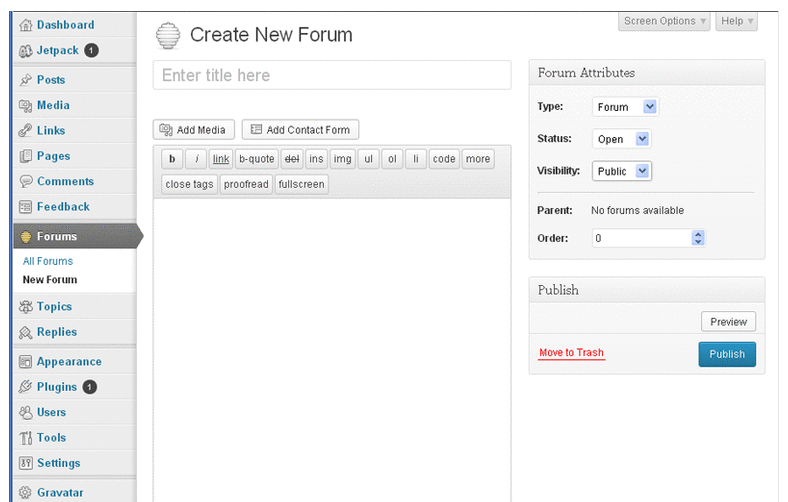 The bbPress forum software helps you create discussion forums from inside your existing WordPress site. The system is easy to set up and install, even if you’re not a developer or overly tech savvy. Choose different themes for the look you want for your community, with the ability to customize as you go. Add-on features are available through WordPress plugins. 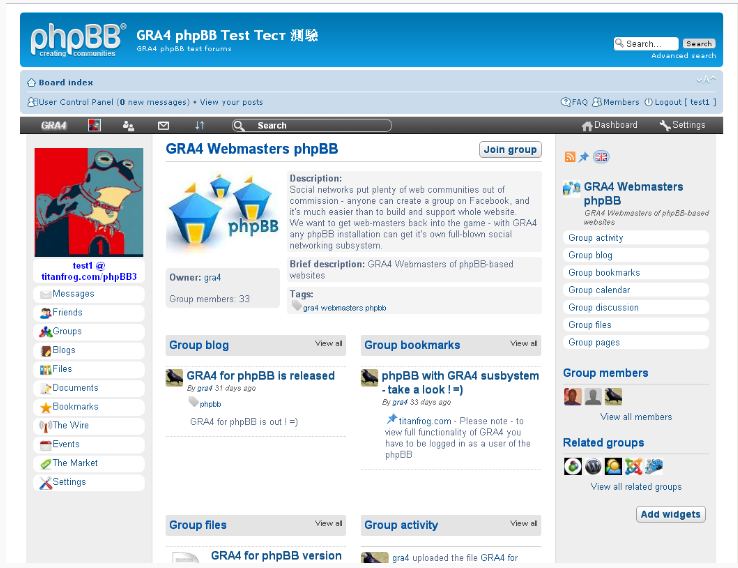 As an alternative to bbPress, PhpBB features free and open source forum software for a highly-customized experience. Like its bbPress competitor, PhpBB is also lite software that’s designed for easy use with room to grow. Choose from a collection of extensions including activity stats, user merge data and a gallery feature. Lite models like bbPress and PhpBB are quality options for smaller communities, or if too many options and features are making you dizzy as you build your community. It’s also another option if you’re looking to bridge the gap between smaller, DIY platform builders and open-source software. Looking at platforms, it was clear that the only way to get 100% of what we wanted – and none of what we didn’t – was to build our own. Acquia offers forums, discussions, contests and comment areas to collect better customer feedback. Businesses can then integrate the feedback and engagement to shape their sales efforts. There are also other options for those looking to build their own platform. The AnswerHub by DZone Software platform was built for developers, by developers, and helps empower communities to become self-sufficient. 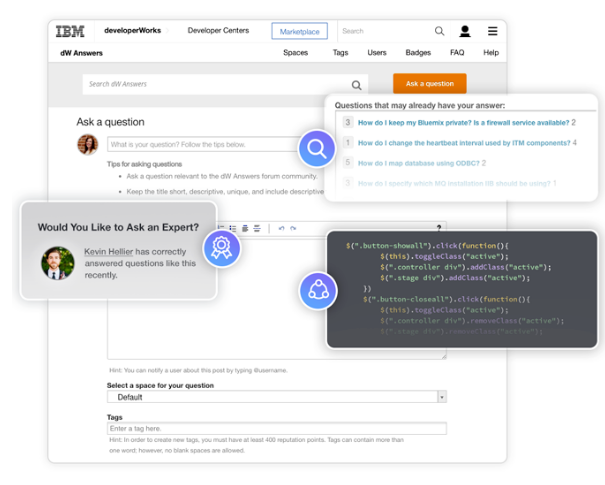 AnswerHub gives your community the ability to ask and answer questions that can enhance the user experience of your platform. Using AnswerHub is a good choice if you’re highly focused on increasing engagement, and not just on onboarding new members. Sites giving a nod to Quora also benefit from using AnswerHub, where users are on the site specifically to share ideas and insights with their online community. Microsoft Azure is designed to help speed up the development of enterprise, web, mobile and IoT apps. Developers can build out cloud-based apps for a variety of coding languages, including Java, Node, Python, Ruby, PHP and .NET. An Applications Insights tool gives your team deeper insights to monitor and manage your apps and systems. Microsoft Azure also integrates and partners with companies like Bitnami to make Simple Machines Forum available on Azure, which makes it easy to build message boards for your community. The free, open-source platform Telescope Nova gives developers the tools to create communities with relatively simple building blocks. Posts, comments, modals and forms can be dropped in and customized to build social web apps for communities. There’s also a social login feature for members to access the community with common oAuth providers. The promise of not being beholden to another company’s roadmap and working with an open-source platform with an entire community of developers behind it was very seductive. When you consider costs all-in, building your own is actually more expensive than going with a seemingly expensive platform. You have to consider upkeep, future upgrades, development, and all the things that can go wrong that will keep you over budget and over timeline. Depending on your implementation, it could also slow down your time to market. We were up and running with JiveX within a month, and a best-case scenario for a build-your-own MVP was going to take 3 months. The most dangerous risk of all: taking your attention away from the job of building, nurturing, and managing the community to managing a software product. To get your vendor selection off the ground, have a very clear goal and know how your community wants to interact with you and with each other. Start small, start free. Test your hypotheses, observe, and learn. Many platforms come with slick demos and presentations, shiny customer showcases, and transformative visions delivered by polished salespeople. You will undoubtedly be seduced, but you must ask yourself – and your sales rep – what it realistically takes to get to the state of a shiny showcase company. Don’t rely solely on the references given to you during the sales process. Talk to as many community professionals as you can who run platforms you are thinking about. Make sure to check out admin consoles and ask yourself if you can use it daily and train other people on it. I asked many people to show me Jive and Lithium from the inside. And, just as importantly, you need to look at vendor selection as a long-term relationship. As a community practitioner, you should know that the key ingredient in a relationship is trust. Do you trust these people to help deliver your vision? How can you help each other deliver on what’s important to you? If you build a great relationship, see if you can partner up with the product folks to understand or influence the roadmap. Choosing the right platform can empower your team to build and grow your community. But the cost of choosing the wrong community platform can be high, resulting in untold wasted dollars, hours and resources. Make the right choice by downloading our free CMX Guide to Community Platforms and get on the fastest path to community building success. Please get some buy-in and feedback from community builders, instead of just listening to the institutional buyer. Otherwise, you’re leaving the door wide open for a group of smart community builders to get together and build the right product for them. Another word of advice: think mobile first, and simplify, simplify, simplify! Leave me a comment if you have further questions about platform selection and options. Perhaps we can explore them in future follow-up articles!